Granite School District is proud to announce the Annie E. Casey Foundation grant to the Kearns community in collaboration with Salt Lake County. This grant will provide technical support and coaching to improve evidence-based outcomes in schools, and help children in the community reach their full potential. Kearns was selected from multiple communities that applied through a rigorous selection process. The initiative relies on a partnership with Salt Lake County, Granite School District, and Kearns community members, with funding and technical support from the Annie E. Casey Foundation. 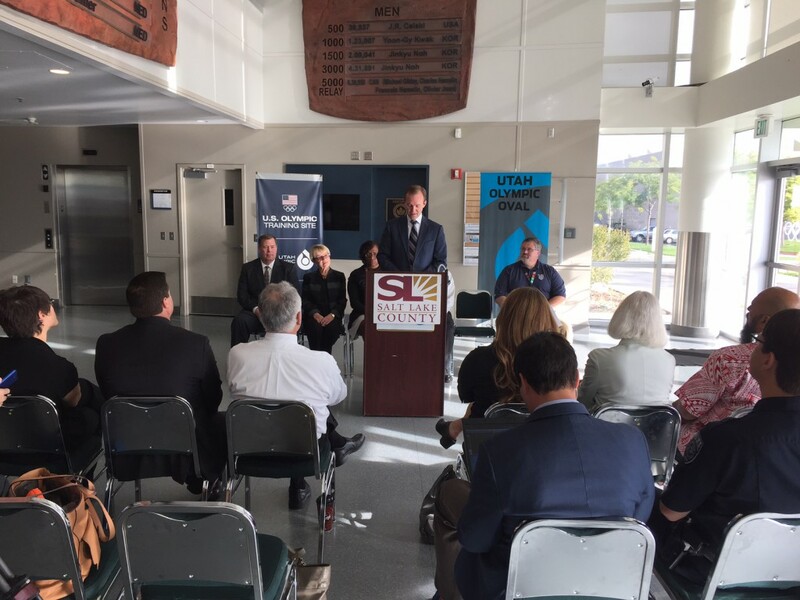 Salt Lake County Mayor Ben McAdams, Superintendent Martin Bates, Rep. Eric Hutchings, and Kearns community members announced the partnership this week at the Kearns Olympic Oval. We sincerely thank the Casey Foundation and Mayor McAdams for their support of students. Where will that grant benefit the students of Kearns??? The grant is for the entire Kearns network. What is the specific parameters of the grant? What is it targeting to improve the children’s lives? How is the money being disbursed and to what programs? The program entails a cooperative approach to gather data using the Casey Foundation’s framework to help schools, local governments, and community members identify where time, money and effort is needed. Salt Lake County has assembled a steering committee of nearly two dozen members to oversee the effort, which will start with the state’s Utah Student Health and Risk Prevention (SHARP) surveys of children in the 6th, 8th, 10th and 12th grades to collect data.